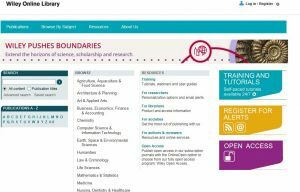 Our featured e-resource this month is the Wiley Online Library. Staff and students working locally in the NHS will find the Wiley Online Library listed as one of their online options- look in the “My Resource” option when you login on your Open Athens account. We have purchased access to the Wiley Medical and Nursing Collection of journals. This is over 400 journals with archives back to 1997. Locate the titles by browsing subject – Medicine (or Nursing). Filter by journal – this will then identify titles which we have purchased access to and free content. 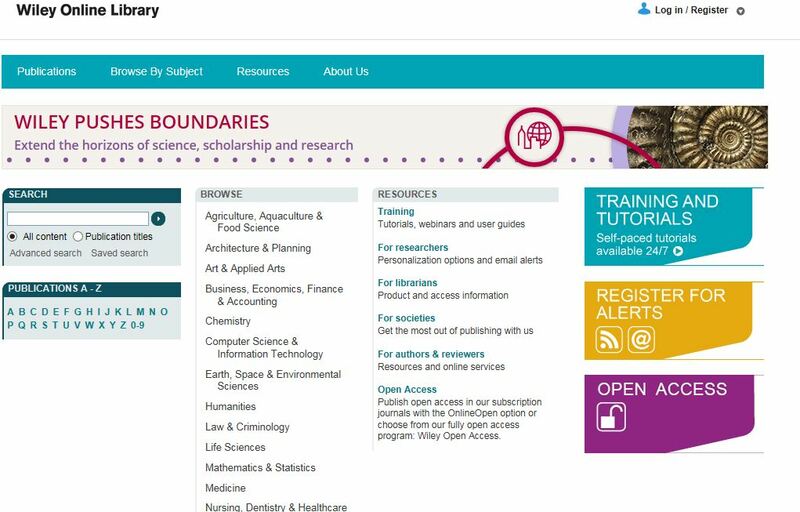 These titles are indicated by a open padlock symbol or free access statement – anything else is not included in our access but you will be able to see contents pages – ask the library if you require articles from journals you cannot access. Within Nursing there are currently 78 journals available including access to archives. Titles include Birth, Journal of Advanced, Nursing, Journal of Clinical Nursing,Nursing in Critical Care and Public Health Nursing. For Medicine the journals are divided into specialties eg Emergency Medicine. Journal titles available include BJOG, Head and Neck, Medical Education, Transfusion and Ultrasound in Obstetrics & Gynecology. 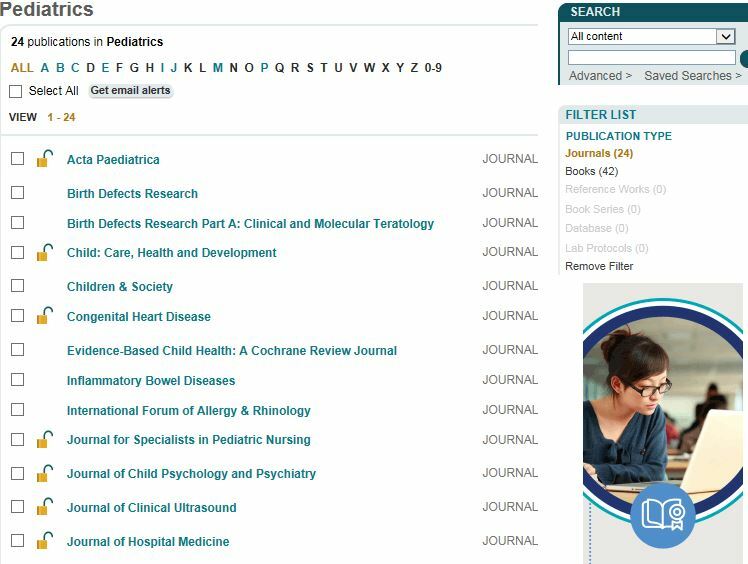 You will also find Wiley journals linked from a search using Databases such as Medline or Embase or BNI (HDAS) or within the A-Z list of journals found via NICE Evidence – Journals & Databases. Further help or advice available from Librarians in East Surrey or Crawley Hospital libraries.